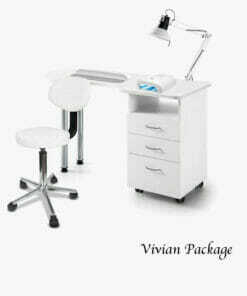 Start up manicure kit for beauty shops and spa’s. 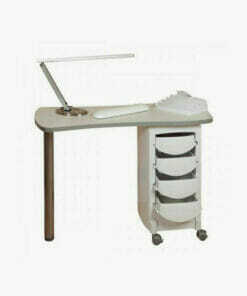 Skinmate Total Nail Care Kit E, consisting of manicure station with compact storage with 4 pull out drawers and pull down shutter, castored feet with adjustable leg, incorparated within the top surface is an extractor fan with filter and grill. 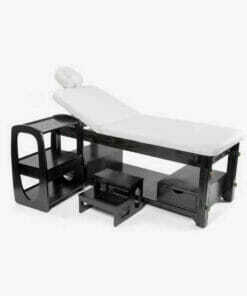 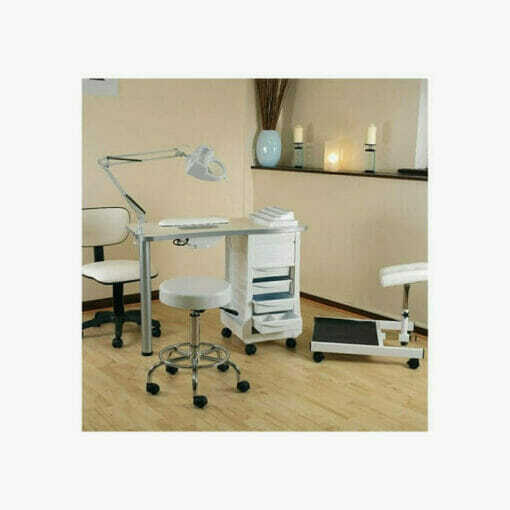 Also in this kit is adjustable height and adjustable reach Pedicure foot stand, a comfort lite stool for your customer and gas lift stool for your therapists. 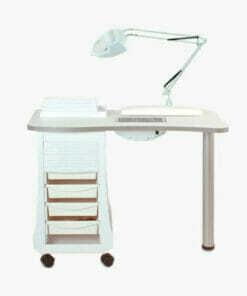 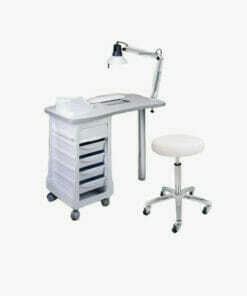 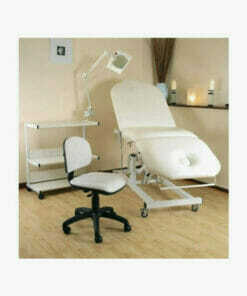 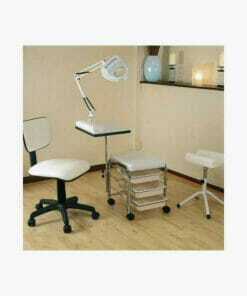 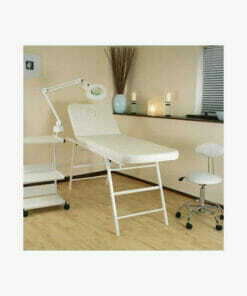 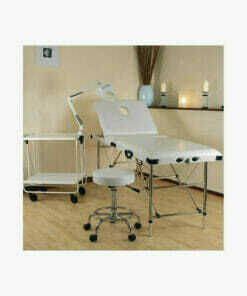 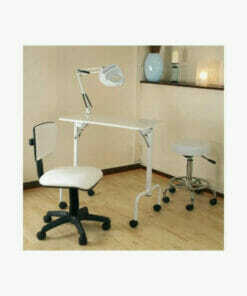 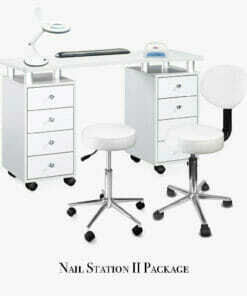 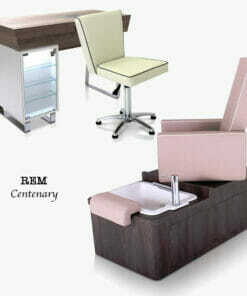 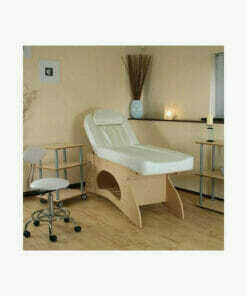 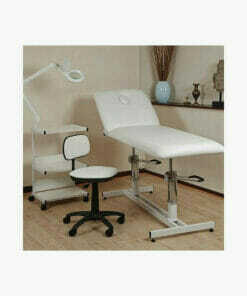 Also client white armrest included, nail lamp with g clamp and nail polish storage shelving.